The iNano nanoindentation system from KLA is accessible and easy to use nanoindenter. 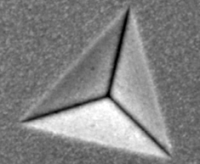 The iNano is capable of conducting dynamic and static microhardness including nanometric Vickers hardness. The iNano offers unsurpassed accuracy, precision, and repeatability as well as flexibility and versatility. 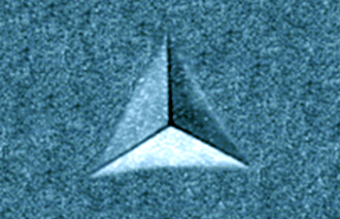 The iNano nanoindentation system is designed for high performance nanoindentation at low depths. Ideal for characterizing thin films and coatings in electronics and semiconductors, such as low-k films on silicon, applications. Performing instrumented indentation, measuring hardness and elastic modulus of materials with continuous stiffness measurements (CSM). 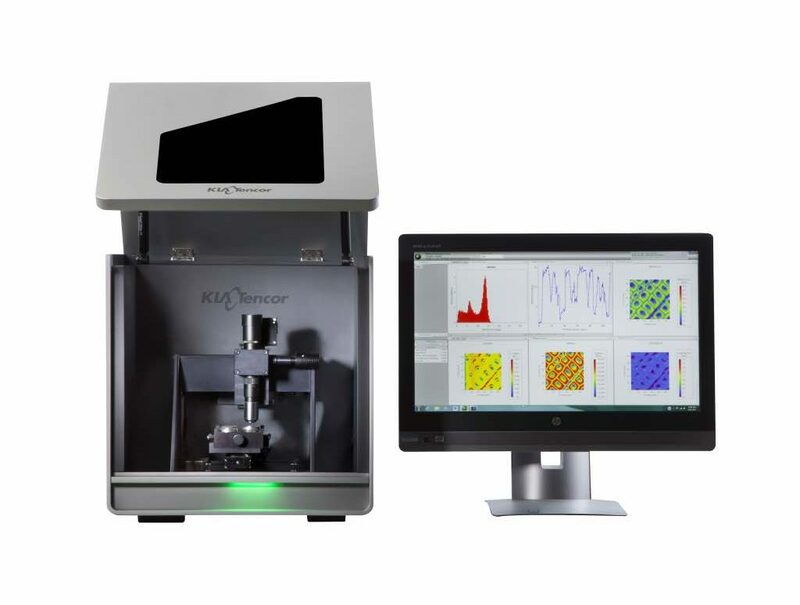 Highly precise measurements of soft polymer material properties such as complex modulus measurements as well as storage modulus, loss modulus and loss factor can be measured with the iNano. 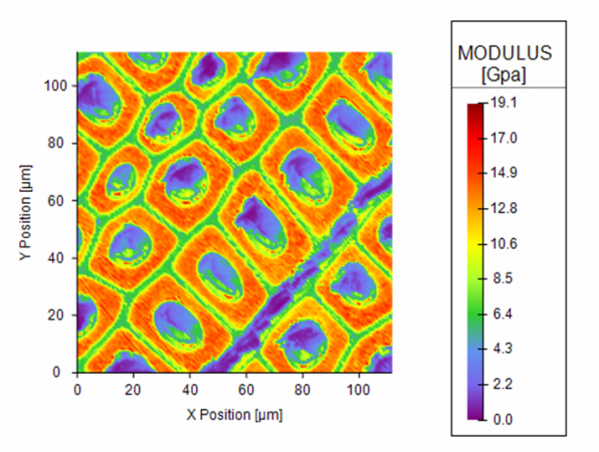 Utilizing the Hay-Crawford model to remove the substrate effect, the thin film method pack software provides accurate modulus and hardness data. The iNano has the flexibility to be configured for specific advanced characterization performance such as 3D property maps for heterogeneous surfaces and 4D property maps for depth dependent materials, scratch tests, and electrical measurements. Minimal training is required thanks to the user-friendly interface, eliminating the need for a dedicated operator. The software can also be customized for different applications. Applications include composites, thin films, diamond-like coatings, dielectric films, elastomers, polymers, semiconductors, and coated surfaces. iNano conducts nanoindentation measurements with indents in less than a second providing statistical analysis to measure properties as a function of depth, force, time, or frequency. With a time constant of 20 µs, the iNano is simultaneously achieves maximum indenter travel with high resolution while minimizing noise. The NanoBlitz 3D and 4D software provides E, H, S at a specified load for each indent with statistical analysis and histograms. Nanobltz 4D provides the data as a function of depth. InView Review Data for concurrent data analysis during experiments. 64-bit architecture in which InView is not constrained by the 2 GB data limit that applies to all 32-bit applications. The significance of the Microsoft .NET Framework is that the code is modern, which offers many benefits, including ease-of-use, reliability, and remote operation. Custom test-method scripting with online tutorials for quick learning and to set up and perform virtually any small-scale mechanical test.